Pinsir in game: 5,006 Who? Important notice! 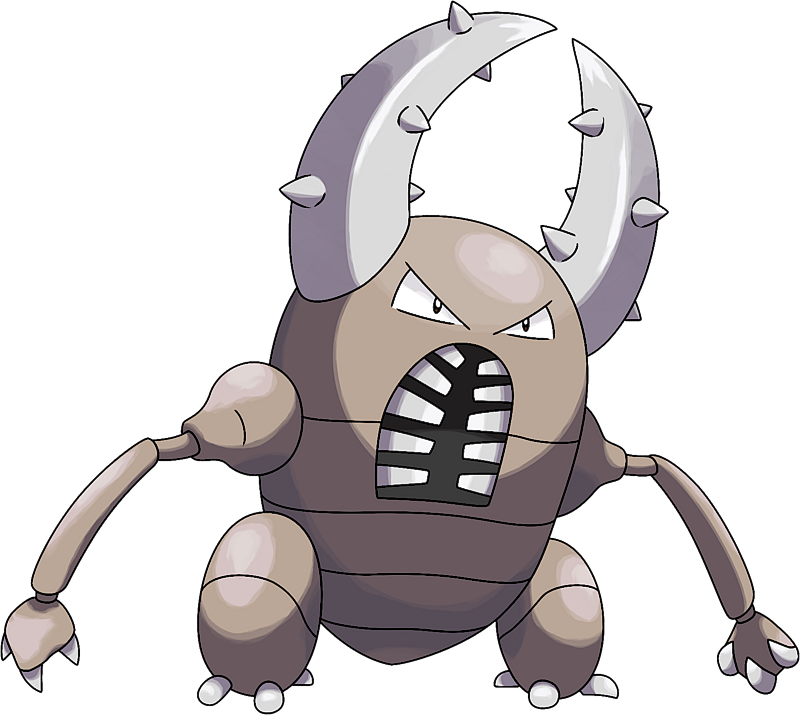 Pokemon Pinsir is a fictional character of humans. 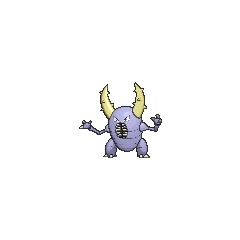 Pinsir is a bipedal Pokémon with a wide, dull brown body and a large pair of gray, spiky pincers on top of its head. In its mouth are many long, flat teeth arranged horizontally. Its legs are short and thick while its arms are long and thin, and each limb ends with three grey claws. 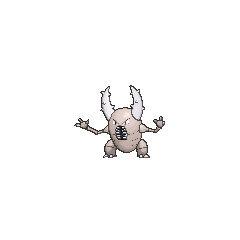 Pinsir's limbs and abdomen are divided into segments. Its eyes are simple, but usually appear angry. 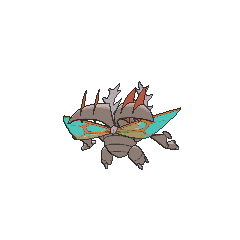 As Mega Pinsir, it gains a large pair of clear wings with an area of orange venation. Additionally, a set of wing coverings appear. On each wing cover is a pair of large, thin, orange blades. Its arms become longer and more segmented, with triangular extensions on its lower arms. The pincers on its head are now longer with larger spikes, and its eyes are now yellow. 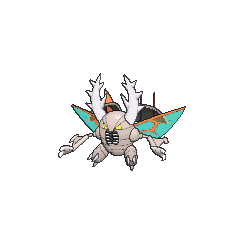 When it Mega Evolves, Pinsir is left in a constant state of excitement. Mega Pinsir can travel up to 30 mph and uses its two large horns to pierce its enemies before shredding them. It can use its pincers to crush, toss, bludgeon, or tear opponents, lift things twice its weight, and shatter logs. 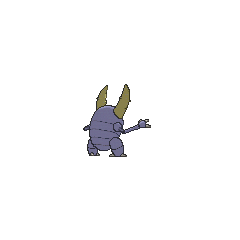 Captured prey is kept in place by the piercing thorns and sheer strength of Pinsir's horns, and will not be released until they are torn in half. In addition to hunting prey, the anime has shown that it enjoys tree sap. Pinsir lives deep in the forest, where it burrows underground or hides in the treetops on nights cold enough to render it immobile. In Alola, it has a rivalry with Vikavolt. 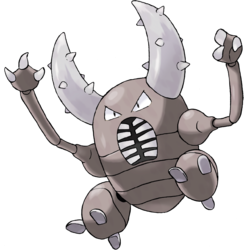 Pinsir first appeared in Challenge of the Samurai. Samurai used it to battle against Ash. It easily defeated Ash's Pidgeotto, but lost to his Metapod. In A Sappy Ending, Pinsir were being driven into a forest that was Heracross's territory because Team Rocket was stealing the sap from the trees that were in their territory. Anthony uses his Swalot and Pinsir against May's Combusken and Bulbasaur in the Battle Round of the Hoenn Grand Festival in Rhapsody in Drew. Howie, a character of the day in The Ole' Berate and Switch, has a Pinsir. Ash's Corphish battles against this Pinsir during a bogus competition that Team Rocket runs. Multiple Pinsir appeared in Defending the Homeland!. They are one of Florges's minions who orders them to attack Goodra's homeland and its friends. They reappeared later in Beyond the Rainbow! and Master Class is in Session!. Two of them reappeared in Till We Compete Again!. 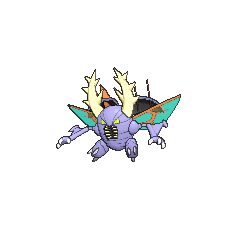 A Pinsir that can Mega Evolve appeared in Volcanion and the Mechanical Marvel, under the control of Levi and Cherie's Mega Wave. It was briefly lent to James to use in an attempt to capture Magearna. A Trainer's Pinsir appeared in SM013, where it participated in the Pancake Race. At the beginning of Mewtwo Strikes Back, Raymond used a Pinsir to battle Ash's Pikachu, alongside his Golem and Venomoth. All three were defeated simultaneously by Pikachu. 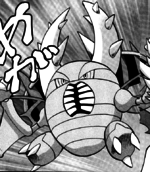 A Pinsir was used in the Queen of the Princess Festival contest in Princess vs. Princess. Pinsir appeared on an island that is mainly inhabited by Bug-type Pokémon in Tracey Gets Bugged. Pinsir also appeared in The Power of One. A Pinsir participated in a Pokémon breeding competition in Beauty and the Breeder. A wild Pinsir attacked Misty's Togepi in Houndoom's Special Delivery. A Pinsir also appeared in Celebi: Voice of the Forest. Gary Oak has a Pinsir, which was seen in his profile in The Ties that Bind!. A Pinsir was also owned by a demolition crew (which was changed into a construction crew due to Ritchie changing the past) in Celebi and Joy!. 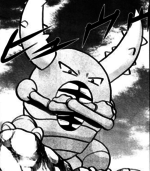 Pinsir makes a cameo in Numero Uno Articuno as a Pokémon belonging to Noland. At the beginning of Pokémon Ranger and the Temple of the Sea, The Phantom used a Pinsir alongside Parasect to attack Jack Walker. A Coordinator's Pinsir appeared in Dawn of a Royal Day! participating in the Battle Stage of the Arrowroot Town Pokémon Contest. A Pinsir appeared in the ending credits in Eevee & Friends, alongside Heracross. A Pinsir appeared in Alexa's magazine in The Journalist from Another Region!. A Pinsir that can Mega Evolve into Mega Pinsir appeared in Mega Evolution Special I. A Pinsir appeared as a silhouette when Green explains about Mew in The Jynx Jinx. Another Pinsir appeared in Can You Diglett? as a silhouette when Agatha and Lorelei explains to Red about how Pokémon and people can't coexist with each other. 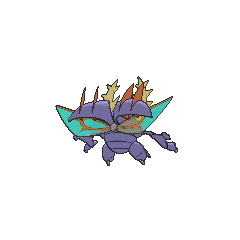 In the Emerald chapter, a Pinsir was used by Emerald in the Battle Factory in his challenge against Noland. A Pinsir appeared in Skirting Around Surskit I as a rental Pokémon that Guile Hideout stole. In the X & Y chapter, X captured a Pinsir that he nicknamed Rute. It was later given a Pinsirite, allowing him to Mega Evolve into Mega Pinsir.